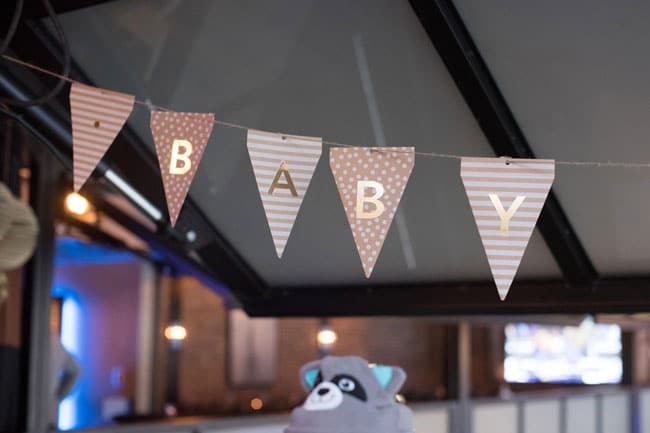 Everyone is entitled to a great baby shower when you’re having your FOURTH child, and this couple excelled! 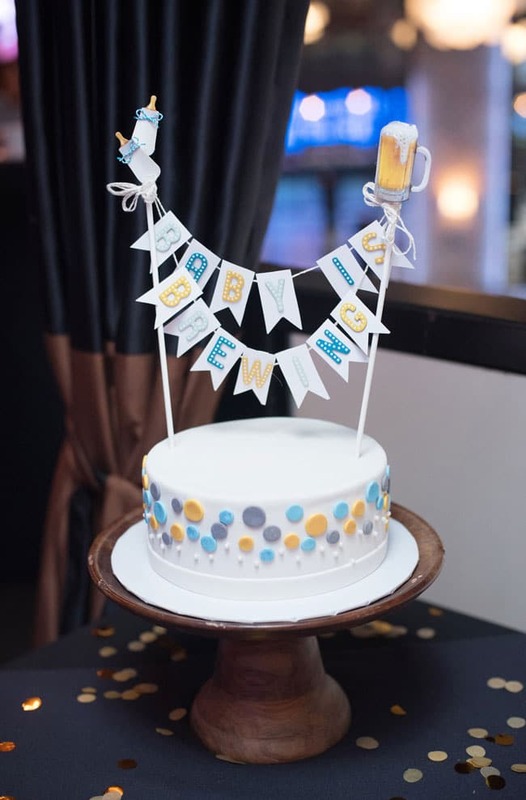 We just love this A Baby Is Brewing Baby Shower celebration! 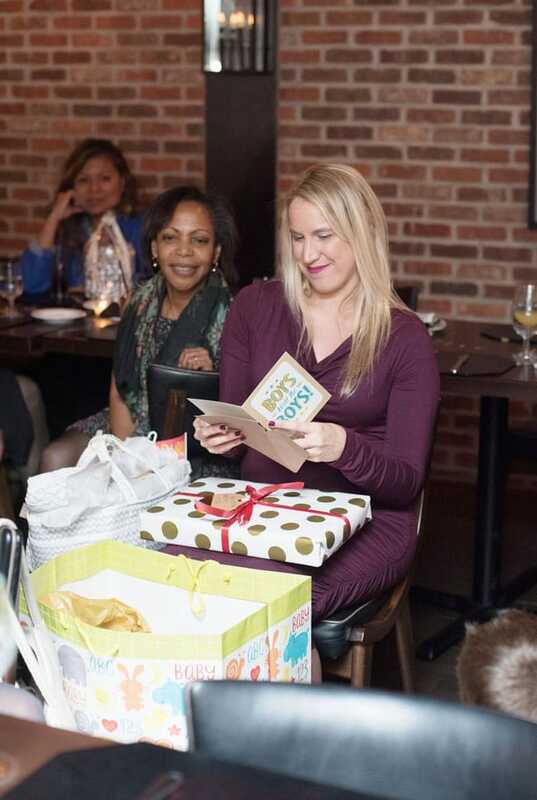 A couples baby shower can be so much fun and taking a peek at this A Baby Is Brewing Baby Shower proves exactly that! 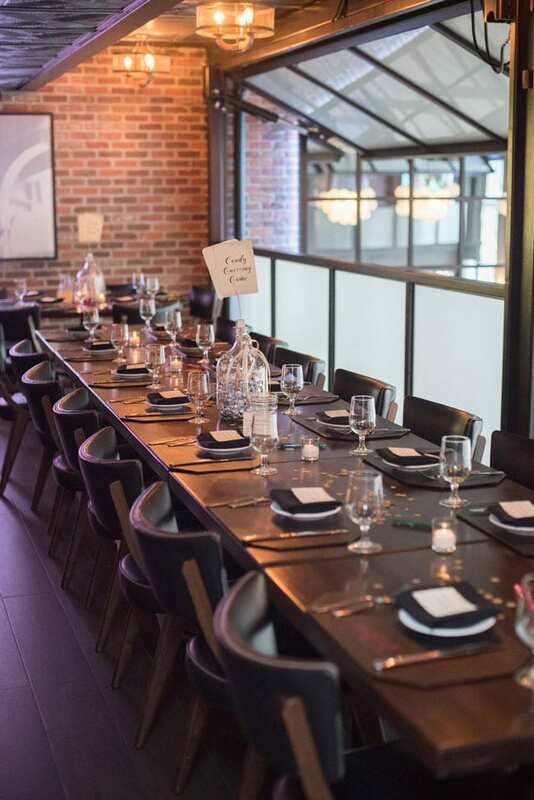 Add in elements of the brewery portion of their venue, and all of the men were feeling pretty good about attending this great coed baby shower! After all, it was held in a steakhouse with beer readily available! 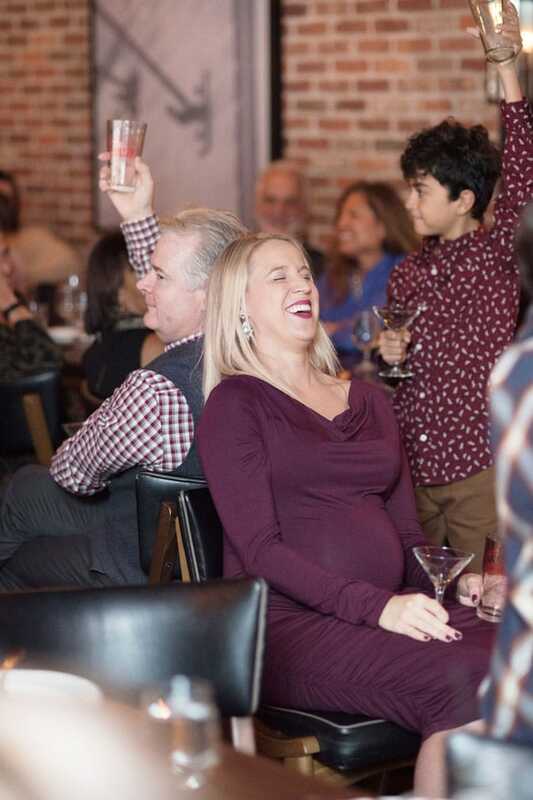 These two soon-to-be parents held a couple’s baby shower in celebration of their fourth son “Baby Halligan” at The Gallery at Liberty Prime Steakhouse. The upstairs was decorated in the gold, white, and dusty blue color scheme, which was such a fun, yet unique color scheme to use for a baby shower. It looked amazing! 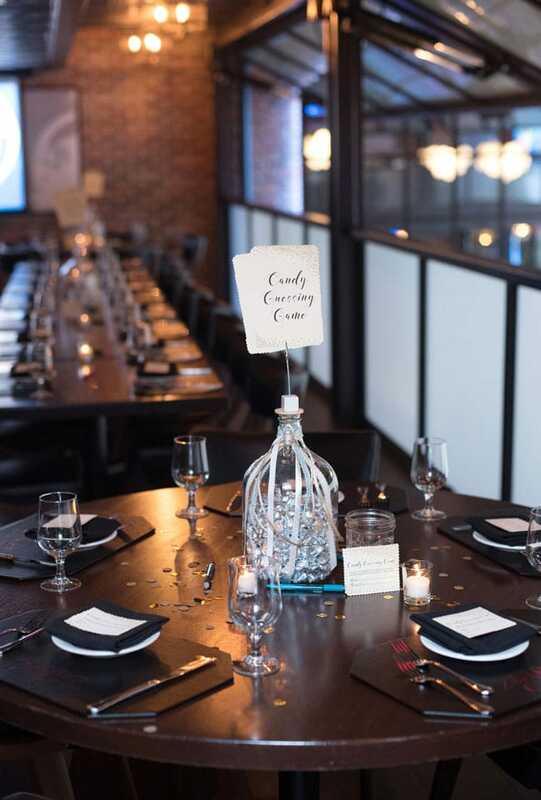 Gorgeous decorations were found all throughout the venue, but with the venue being so gorgeous already on its own, it wasn’t as necessary to bring in too many decor items for the baby shower. That’s a win-win when trying to watch how much time you are spending on a party, along with keeping costs down! 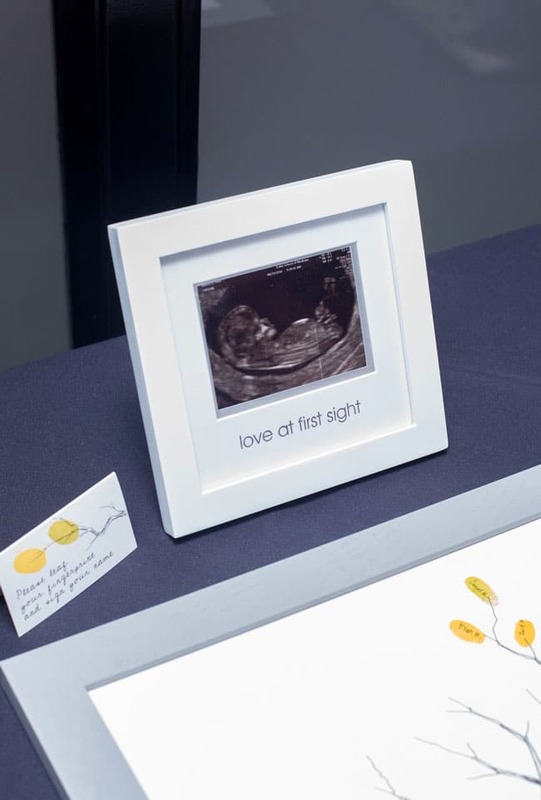 A sweet little sonogram image was at the entry table to welcome everyone into the baby shower. 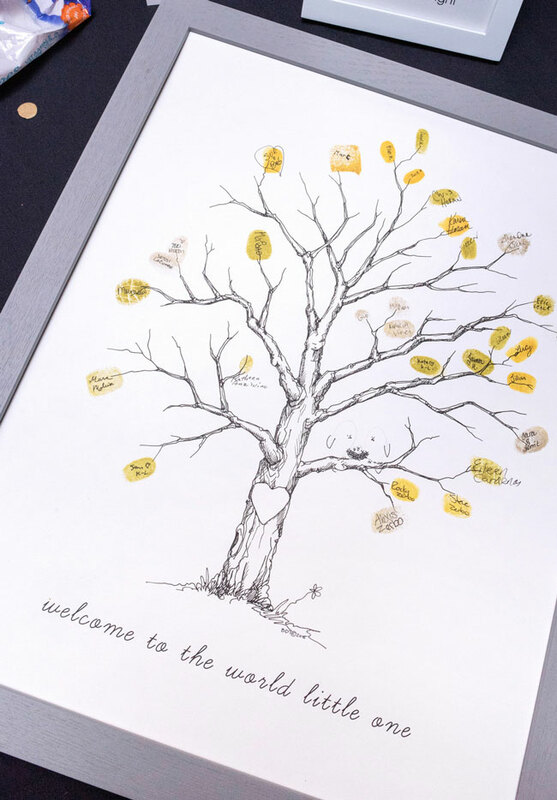 There is no better way to welcome guests than by displaying baby’s first picture! 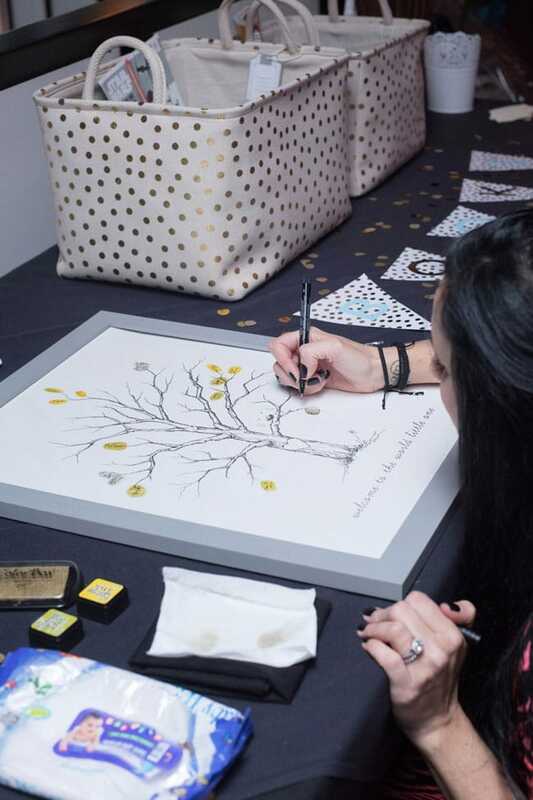 As guests arrived, they were welcome to “leaf” their fingerprint on the sign-in board, which was created by BonjourEmma. This is such a fun and unique idea that will be remembered for years to come. 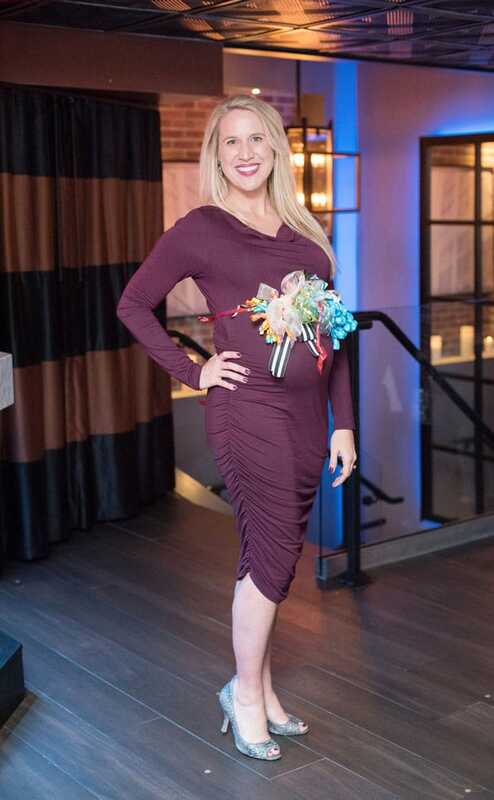 It’s always great to find new couples baby shower ideas and this one was a hit! What a great way to remember who was able to help celebrate this new bundle of joy! 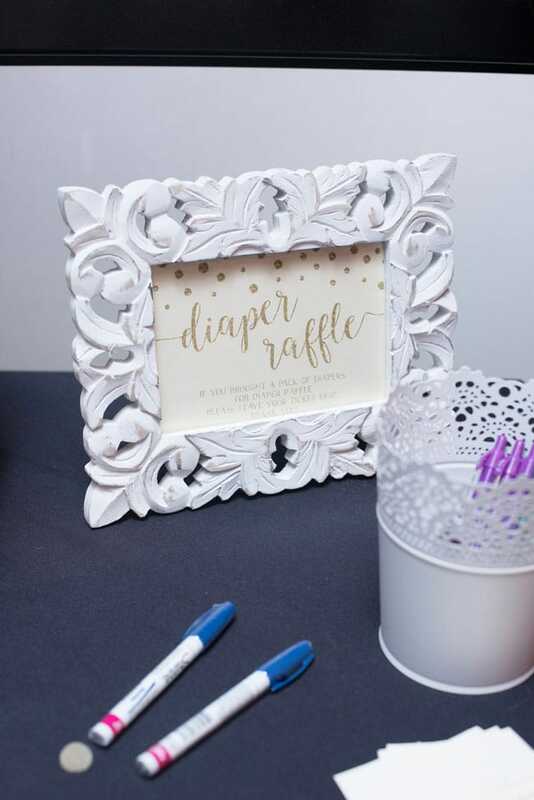 Guests were asked to enter the “Diaper Raffle”, which was a fun game that everyone was able to take part in! It’s also an amazing baby shower game that will bring in many diapers for your little one, saving you a lot of money down the road! By simply asking everyone to bring a package of diapers, they are eligible to enter the raffle and win prizes of their own! Genius! 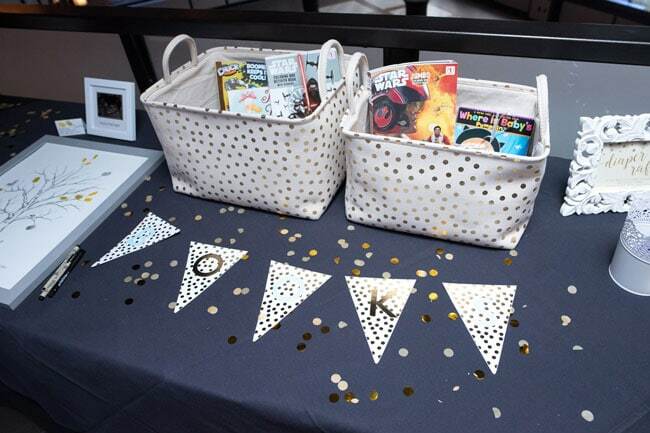 Guests were also able leave any books in the collection baskets that were found toward the entrance, as well. A child can never have too many books to start their collection! 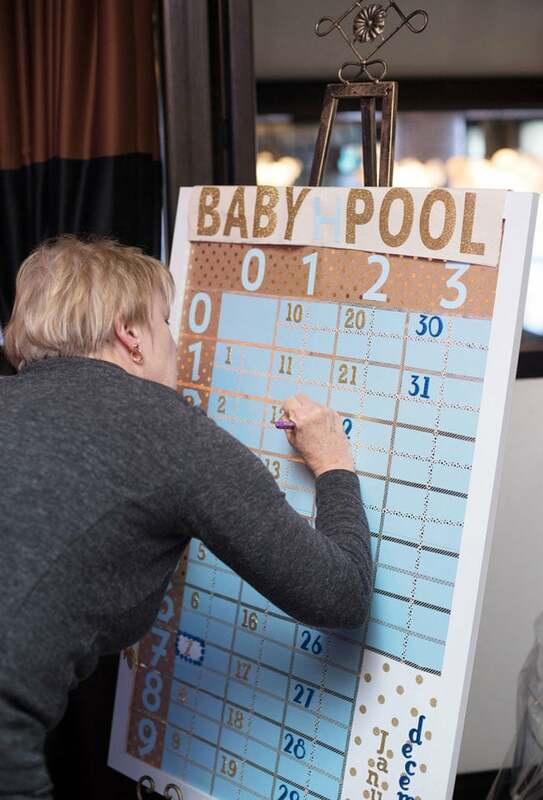 As guests mingled, they were invited to guess Baby’s arrival date in the Baby Pool competition. Guests would write their names in the box of the dates surrounding his due date to make their guesses. 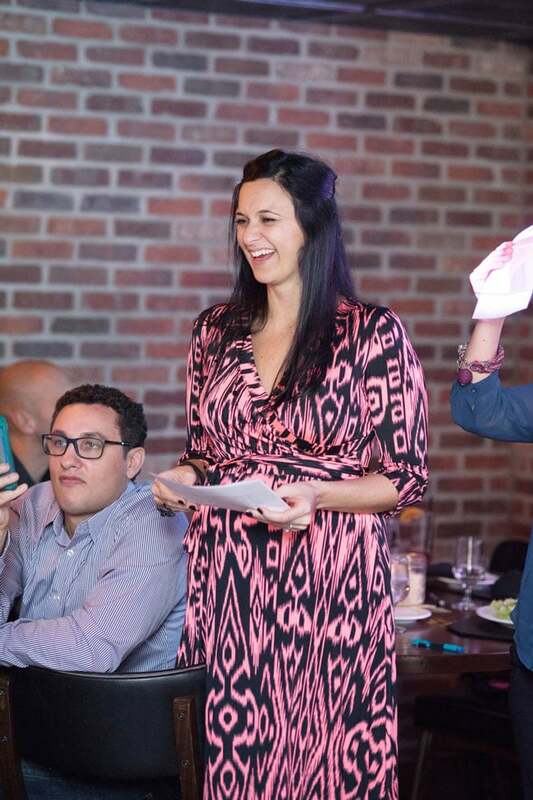 What a fun baby shower game to get everyone involved and excited in the new baby’s arrival! 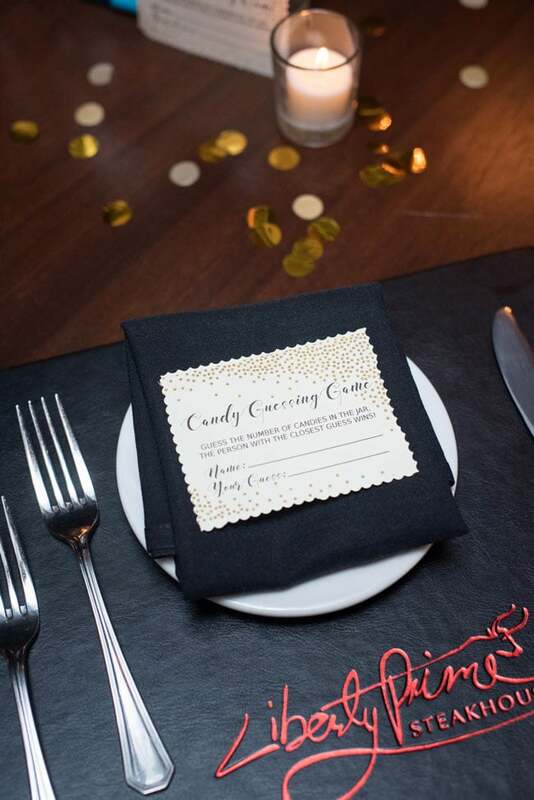 The guests made their way into the dining room to enjoy lunch while playing the Candy Guessing Game. (Whoever guesses closest to the number of Hershey Kisses in the jar at each table wins the whole jar!). I don’t know about you, but walking away with a jar of Hershey Kisses at a baby shower would be a big win for me! Delicious! 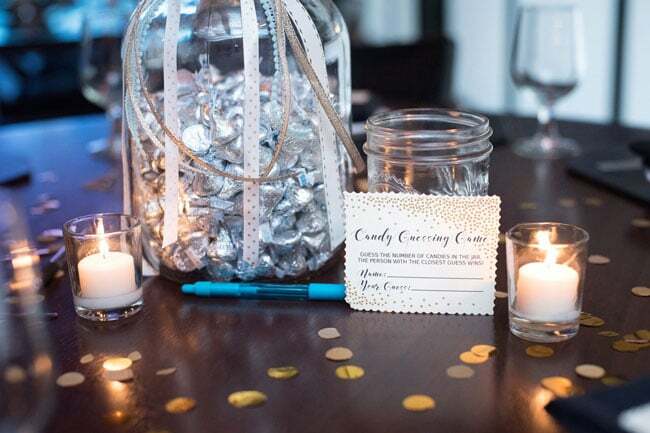 Small place cards were located on all of the table settings to remind all guests to make their Hershey Kisses guess! As the dessert buffet opened, the expectant couple played a funny game of “Mom or Dad”. With their backs to each other, they were asked a series of questions like “Who will Baby look more like?” and “Who will change more diapers?”. 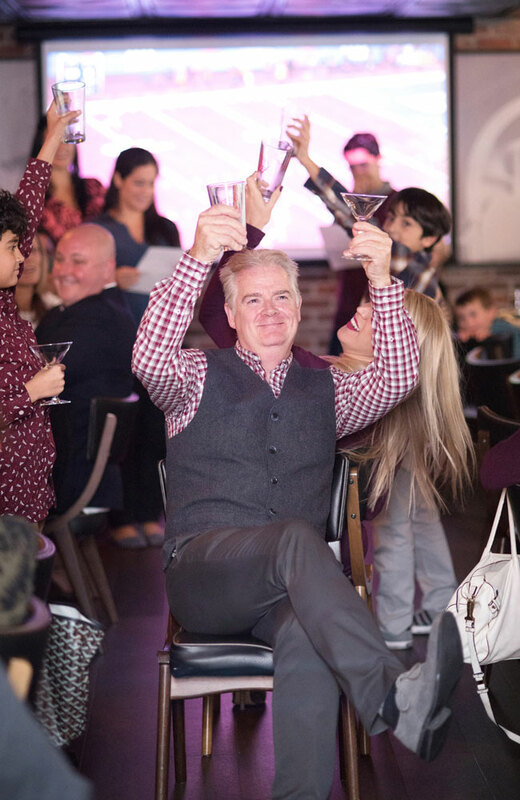 Using two glasses that they each held – a beer pint to signify “dad” and martini glass to signify “mom” – they would lift the glass of their answer. There were many laughs over the answers to this fun game! 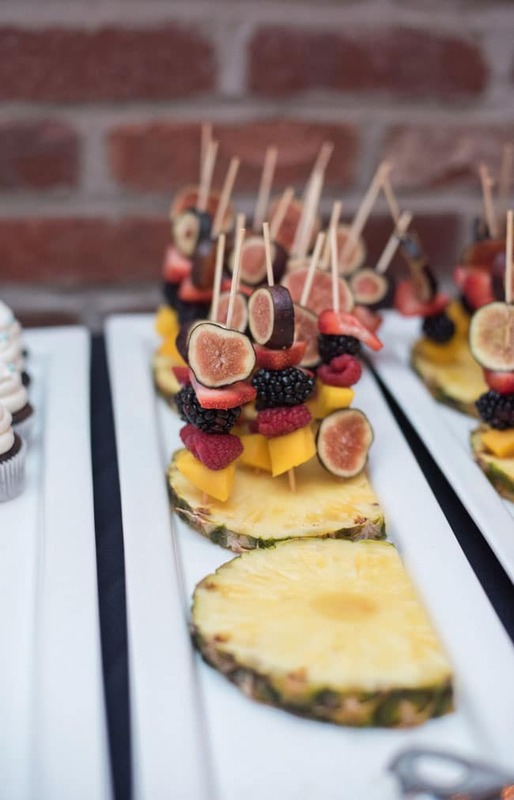 These delicious fruit kabobs were a big hit with all of the guests. 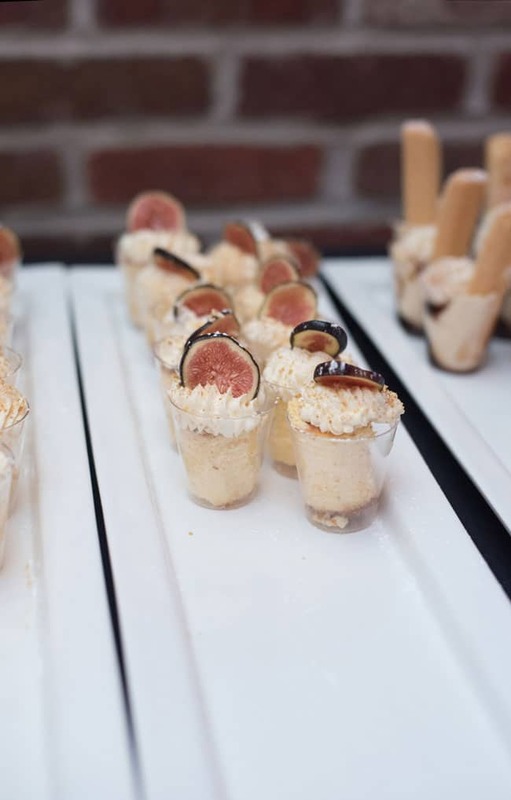 What a fun and elegant food presentation for a mixed gender shower! Wow, just look at those amazing cupcakes and fun fruit cups! Lunch was a light appetizer and dessert bar, which was perfect for this baby is brewing theme. Everyone enjoyed indulging in different sorts of items. Finally, it was time to dig into the Baby is Brewing baby shower cake! What a fun presentation with the “Baby Is Brewing” banner that was placed on the top of the cake! 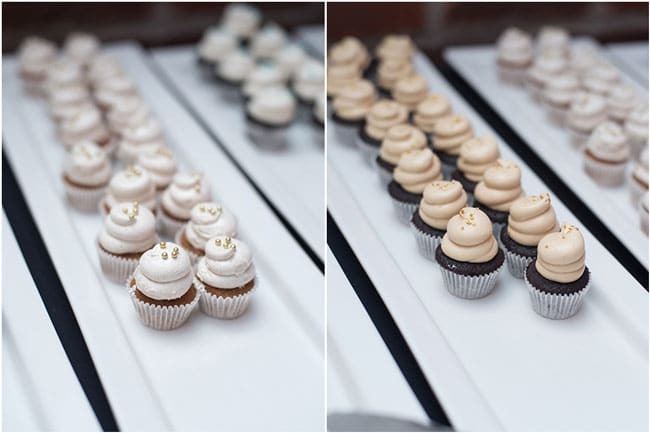 We love the simple, yet fun polka dot decorations around the cake that kept it elegant, yet not overwhelming. Well done! Before the party ended, Mom opened all her thoughtful presents, including an intricate homemade diaper cake, a miniature Top Gun jacket (Karl & Faye’s favorite movie! ), “Babiators”, onesies, diaper bags, blankets and toys. This fourth baby is going to be decked out in style upon his arrival! Such a sweet moment for the parents and all of their friends! No baby shower is complete without a special diaper cake, though! 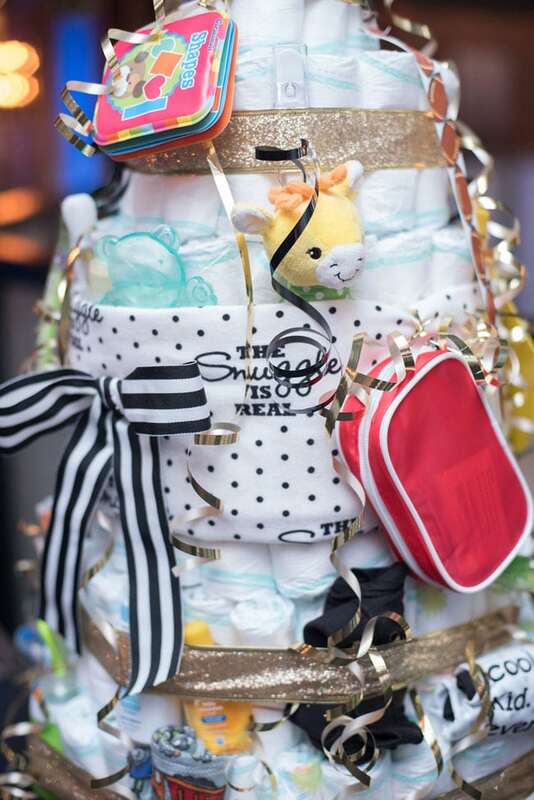 This diaper cake gave us all the feels as we looked it over. How could it not?! 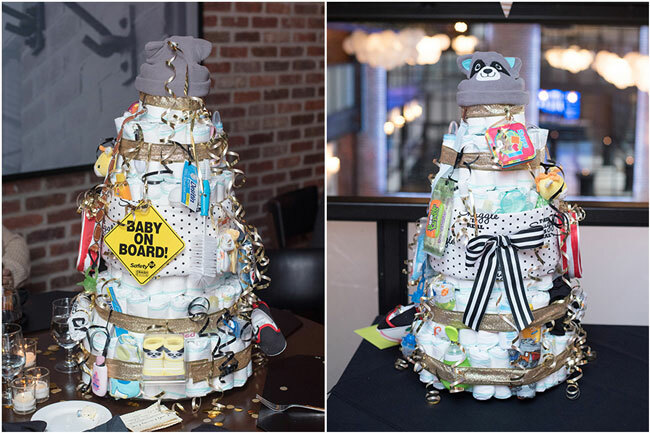 A multi-level, stuffed to the brim diaper cake was topped with the cutest little newborn hat that you’ll ever see! Mom is going to have the time of her life digging into this cake and finding all of the great items that were included on it! 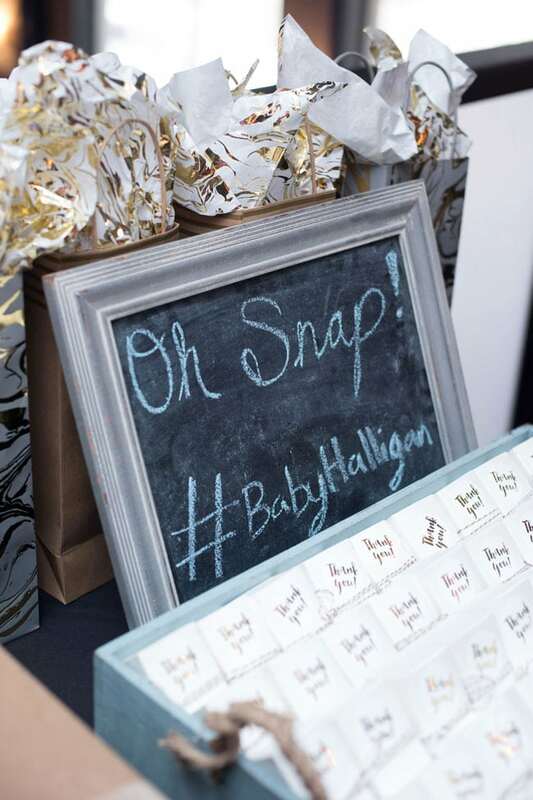 Guests were also encouraged to use the special Baby is Brewing baby shower hashtag to post any pictures they might have taken at the event, as they grabbed their yummy favors from the table as they left. 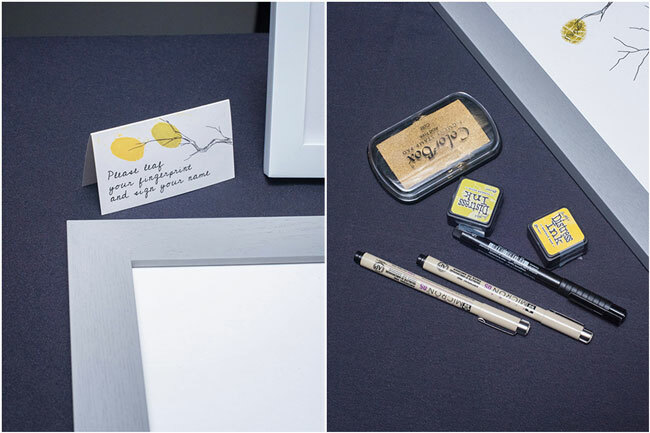 All of these great couples shower ideas were on point and so gorgeous! 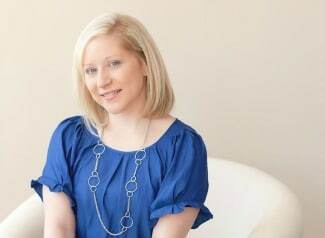 Mom is looking absolutely fabulous while prepping to welcome Baby Number 4! 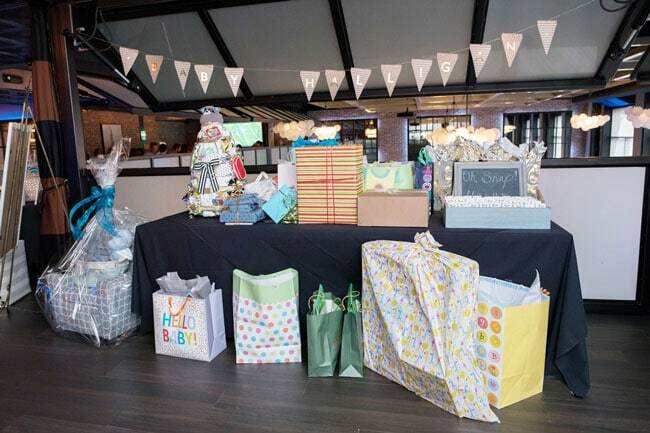 We’re sure that this amazing Baby is Brewing baby shower had everything to do with keeping her looking forward to the end of this pregnancy journey. What a fun play-on-words for the theme!